The world’s finest arabica coffee beans are listed by country in no particular order since the biggest factor is personal preference. For example, some people might prefer the winey and fruity acidity of a Kenyan coffee over the classic balance of a Colombian coffee. Others might not. So we’ll go ahead and disclaim that there’s a subjective element and include the most popular coffees, taking all of these factors into account with the highest rated coffees. Some additional notes on methodology have been included at the bottom. That’s why when someone says “coffee X is the best”, what they really mean is “coffee X is the best to my specific tastes”, and this isn’t useful for you. We recommend you don’t listen to coffee “connoisseurs”, and instead, simply try different coffees. The best tasting coffee for you is one that you discover for yourself. Avoid sticking with specific brands, which hide the coffee origin from you. We’ve listed some of the best coffees in the world below for you to look into. Grown on Mt. Meru and Mt. Kilimanjaro, Tanzania Peaberry coffee bean is a bright Arabica coffee with a medium body and delightful fruit-toned acidity. The best Tanzania coffees have a taste that is deep and rich, often revealing hints of black currant which soften to chocolate and then blend into the coffee’s lingering, sweet finish. Try a medium roast, which provides an aroma that is floral and complex, often exhibiting hints of pineapple, citrus, or coconut. The flavor is delicate, sometimes revealing winey notes and a velvety feeling on the palate. The best Hawaiian Arabica coffee beans are grown at about 2,000 feet above sea level on the fertile slopes of Mauna Loa and Hualalai Volcanoes on the Big Island of Hawaii, Kona coffee is known for its rich yet light and delicate taste with a complex aroma. Different farms will have slightly different coffees under their own brand, but shouldn’t be a blend. Well-balanced with a medium body, it is clean in the cup with a bright and cheerful acidity. Kona coffee often reveals buttery as well as spicy qualities and subtle winey tones with an excellent aromatic finish. A new arrival to the list this year is Nicaragua, which has developed a number of highly rated coffees. The best coffees from this top-rated central american country typically exhibit notes of chocolate (dark, almost cacao-like) and fruits like apple and berries. Exhibiting a full body and low acidity, Sumatra Mandheling beans are best known as a smooth drinking coffee. It is also known for its sweetness and herbacious, earthy flavor, and complex aroma. The coffee is grown in the Lintong region in north central Sumatra near Lake Toba. The best Sumatran coffees are known for being full bodied and having little acidity, making them perhaps the best low-acid coffee option here. This multi-dimensional coffee is grown in the southeastern highlands of Sulawesi. Known best for its full body and rich, expansive flavor, Sulawesi Toraja coffee beans are very well balanced and exhibits tasting notes of dark chocolate and ripe fruit. The acidity is low-toned yet vibrant, with less body than a Sumatran coffee though slightly more acidic, and with more earthiness than a typical Java Arabica coffee. Toraja’s rustic sweetness and muted fruit notes create a deep and brooding taste with a pungent spicy quality similar to the best Sumatran coffees. Toraja coffee is processed using the Giling Basah wet-hull method, which produces chaff-free green coffee beans. For Toraja coffee a dark roast is recommended. Perhaps the most famous blend of coffee beans, Mocha Java includes Arabian (Yemen) Mocha coffee and Indonesian Java Arabica coffee, two coffees with complementary characteristics. The best Yemen Mocha coffees exhibit a lively intensity and pleasant wildness which complements the clean and bright smoothness of the Java coffee. The traditional blend of Mocha and Java coffee beans creates a complex and yet well-balanced brewed cup. See the World’s Best History of Coffee to read about how sailing ships arriving from Java Island arrived in the the great Yemen port of Mocha [Mokha] where the two types of beans became mixed in the wooden hulls of the ships creating the favored blend, a happy accident of history. Spicy, fragrant, and heavy-bodied, Ethiopian Harrar coffee is a wild and exotic coffee bean that is dry-processed (natural) Arabica coffee grown in southern Ethiopia at elevations from 4,500 and 6,300 feet above sea level. The dry-processing creates a fruity taste likened to dry, red wine, a power house coffee exhibiting a bold taste that resonates in the cup. The best Ethiopian coffee beans are known for their winey and fruity flavors, floral-toned acidity, a bright in the cup, even intensity and a heady aroma that is rich and pungent. These coffees often have notes of blackberries and a lingering finish that may seem slightly fermented with intense notes of jasmine. Edgy and bold, Ethiopian Harrar displays a complexity of spice tones including cardamom, cinnamon, apricots, blueberry jam, and compote. Some Harrars exhibit tones of very rich, dark chocolate. Fragrant and spicy, the best Yirgacheffee coffee beans are known for their sweet flavor and aroma with a medium to light body. The coffee is wet processed and grown at elevations from 5,800 feet to 6,600 feet above sea level. Ethiopian Yirgacheffee displays a bright acidity along with an intense, clean flavor and a complexity of floral notes in the aroma, perhaps a hint of toasted coconut, along with a vibrant aftertaste and perhaps a slightly nutty or chocolaty quality. Yirgacheffe coffees are high-toned, floral and citrusy in contrast to the wild and jammy Ethiopian Harrars. If you prefer your coffee heavy and sweet then choose a medium-dark roast or dark roast, though a medium roast allows the coffee beans’ delicate qualities to shine and enhance the bright acidity. Grown at elevations more than 4,600 feet above sea level, the grade of coffee beans of Guatemala Antigua is known as Strictly Hard Bean and include the Arabica varietals Catuai (Coffea arabica var. catuai), Caturra (Coffea arabica var. caturra), and Bourbon (Coffea arabica var. bourbon). An exceptional premium coffee, Antigua exhibits the best Guatemala coffee qualities of a full body (heavier than the usual Central American coffee) and spicy taste often rich and velvety. The Antigua coffee bean works well with a dark roast that creates a pleasing smoky taste in the brewed cup of coffee. Which of these coffees you should buy isn’t as important as whether what you’re purchasing is fresh roasted – coffee is at it’s peak flavor within days of roasting, while many bags of coffee sit on store shelves in Starbucks and Amazon for weeks or months before they finally arrive at your door step. A great cup of inexpensive fresh roasted single origin coffee will always be better than best (and often priciest) old, stale blends. Clearly one of the world’s best premium coffee beans, this is listed last but certainly isn’t the least of the best coffees in the world. Kenya AA is grown at more than 2,000 feet above sea level on Kenya’s high plateaus. The AA refers to the biggest screen size in the Kenya coffee grading system with specifications that the beans are just a little more than one-fourth inch in diameter. The best Kenya AA coffee beans exhibit a full body and strong, rich taste with a pleasant acidity that some say provides the world’s brightest coffee. The aroma of Kenya AA is fragrant with floral tones while the finish is winey with berry and citrus overtones. Coffees from Jamaica’s Blue Mountain region are often named the “Best Coffee in the World”, but when it comes to price vs. quality, it’s an overhyped coffee. Is there any way to possibly quantify that Jamaican Blue Mountain is twice as good as a Kona (being twice the price)? or 4x as good as Kenya AA (at 4x the price)? It’s nowhere near that astronomical of a difference. Feedback from regular coffee drinkers (not coffee snobs) indicates that it’s a good cup of coffee, but falls on the mild side with subtleties most won’t appreciate for a daily drinker. Named for Jamaican mountain ridge, the Blue Mountain coffee growing region is located south of Port Maria and north of Kingston. To be certified as Jamaica Blue Mountain and not one of the lesser grades the coffee must be grown on the estates at elevations between 3,000 feet and and 5,500 feet above sea level. Grown in Jamaica’s Blue Mountain District, Jamaica Blue Mountain coffee is often described as sophisticated with a smooth and silky, complex taste, outstanding full body, and very well balanced. Many reviewers have called it the quintessential cup of coffee and it clearly stands among the world’s top gourmet coffees. The acidity is vibrant and bright, yet very smooth, revealing virtually no bitterness in its overall clean taste. The aroma of Jamaica Blue Mountain is sparkling and bold exhibiting floral notes as well as nutty and herbal overtones. Kopi Luwak, also known as Civet or Cat Poop coffee, has attained a level of notoriety for its distinctive processing method, and spawned an array of copycat methods (elephants, birds, other small mammals). While an interesting concept, the ridiculous prices hovering around $300-$400 per pound have yielded an industry that cages and force feeds wild animals an imbalanced diet so that they can harvest the beans. This is animal cruelty, plain and simple. The lack of traceability means that any company can claim it’s “harvested naturally” or “in the wild” without any tangible proof. We recommend avoiding this. Furthermore, whether you’re brewing a black coffee or take yours double-double or making an espresso drink, you may have different preferences. The cold brew method involves immersing the coffee beans in water for up to 24 hours to allow the coffee solubles to properly dissolve. Unlike hot brewed coffee, the lower temperatures don’t dissolve all the chemicals and acids, resulting a generally lower acidity. Because of the milder nature of cold-brew, it becomes easier to distinguish individual flavors in it, as opposed to the overwhelming acidity of some of the “higher quality” single origin coffees. This means that you should try a number of different single origin coffees to see what works best for you. If you prefer a milder, traditional coffee then a Colombian or Brazilian coffee is a good place to start. These tend to have more neutral flavors and hints of nuts and cacao, which most people feel are positive flavors. African coffees such as Ethiopian and Kenyan will have more floral and berry-like flavors, and won’t be as overwhelming as a traditionally brewed coffee because of the lower acidity. Finally, coffees from Sumatra or Sulawesi will have notes of spice and earthy/tobacco flavors. When it comes to roast, there’s a little personal preference at play here as well, but most people will prefer a darker roast to bring out the “coffee” flavor. Some would say it is a matter of debate which coffees should be called “The Best Coffees in the World.” Which “premium” or “gourmet” coffees are most deserving of the title of highest rated coffees is less controversial than you might think. Certain coffees have proven themselves highly reviewed with a consistency over time. There’s a bit of a snowball effect in play, with good coffees and processing methods fetching higher prices, which then causes further research and effort into developing better crops that yield higher prices and on and on. These effects tend to be localized within countries and processing stations, but is spreading globally thanks to coffee importers and wholesalers, as well as the widespread access to cellphones and internet in developing countries. It’s reasonable to conclude that the most consistently highly rated coffees can be called the best coffees on the planet, but do need to be re-evaluated over time – fantastic new coffees come onto the market yearly. Coupled with reported sales volumes, customer reviews, and data about repeat purchases from roasters, the most popular coffees have some ranking affect on the best coffees. It should be noted that coffee bean prices aren’t always correlated with quality, and that the most expensive coffees are affected by factors such as total yearly harvest, difficulty exporting due to conflicts (as with Yemen), trade embargoes (as in the U.S. and Cuba), spoilage due to improper storage (such as the recent flood at the Blue Mountain storage facilities in late 2016), and trends. Cost is usually more correlated to scarcity due to branding and mark ups from trade organizations and government regulations, not quality. The best coffee “brands” aren’t factored in here, as blends are simply composed of multiple single origins and most companies work hard to keep this a secret. Each of these single origin coffees can also be made into an espresso, making this a potential list for the Best Espressos in the World as well. Unless otherwise noted, all the coffees here are Arabica. 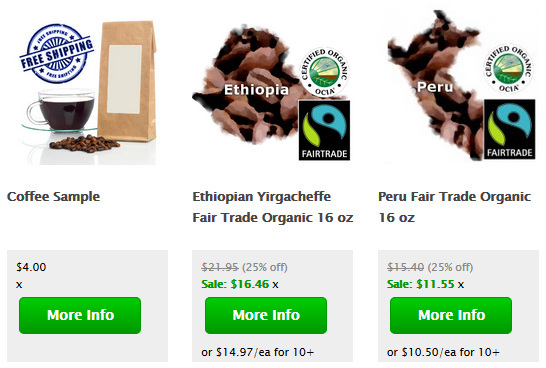 I am crazy about coffee, Tried the best in the world regardless of the price. For me the coffee has to be like the frase “Coffe like a woman, hot sweet and strong” preparation is important but the bean makes the difference. I have come to the conclusion that my favorites are Ethiopia’s Tanzania and A special Puerto Rican coffee. This is a delightful and fun site..the comments are so wonderfully varied! You can almost hear the accents and feel the personalities of the commenters. Obviously we coffee people are a passionate bunch! Coffee to me is usually based on mood–a perfectly brewed cup of Kona might as well be a cup of El Cheapo Instant if you are not in the proper mood. Thanks!! It seems the discussion is the favorite picks of coffee beans for baristas and extraction methods, but it seems the discussion does not focus straight to professional cupping and scoring (performed by teams of professionals from different parts of the world). I mention this because in the topic you dont mention anything related to Panamenian Geisha, that scored 94.66 in the last best of panama cupping and went to a price of 803$ per pound, and not just these, but other coffees like Pacamaras washed and traditionals that equally score high and obtain good price. Antoher aspect that these regular coffee drinkers forget is that this year in the same competition there was a record broken by La Esmeralda with the highest valued traditional coffee (above 100$/lb). 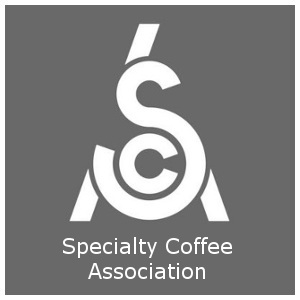 So I consider the information of the article is a matter of personal picks of a espresso extractions expert and not attached to proper professional cuppings that follow a program and sistems of validation to avoid bias and personal preference over group evaluation. This is addressed in the article. This list is for the average coffee consumer, not for “cuppers” or “connoisseurs”. A quality score of 94.66 is irrelevant to most people, who would find the acidity that cuppers enjoy to be unpalatable. $803 per pound is a ridiculous price. We even call out Jamaican Blue Mountain for being overpriced relative to the quality. Much like wine, there’s significant diminishing returns after a certain price point. Cupping is done by the “0.01%” for the “1%” who care about such things. Cuppers live in a bubble that overvalue their expertise and believe that because they’ve been trained to identify nuances, that the general public cares about such things. This is far from the truth. The remaining 99% of coffee consumers factor price heavily into their selection decisions, and from personal experience dealing with 20,000+ coffee drinkers, generally don’t care about cupping scores. [ Cuppers live in a bubble that overvalue their expertise – 99% of coffee consumers – generally don’t care about cupping scores.] Nailed it! I prefer Central and Souh American coffee beans. Also, very partial to African grown beans.